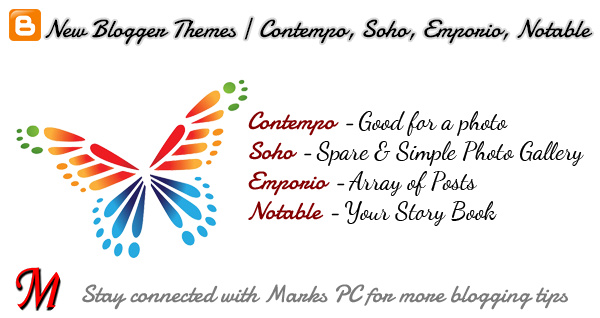 Try out the New Themes of Blogger!! I was expecting some new themes from blogger for a long time. As a renowned blogging platform, blogger should have more professional themes. And finally some beautiful themes have been added to the list. Now the blogger users can choose from 11 categories of themes . . .
Each new category includes 5 variations. Changing your blog theme is as easy as changing your phone wallpaper. But before you make any change, you should preview it and customize the theme if necessary. You should also keep a backup your current theme. Then move to the Theme (Previously it was known as Template). Here you will see the list of default themes by blogger. Now click any of them which attract you most. Now you will be able to see the preview. If you like it then hit on Apply to Blog button. Or if you need to change some parts of the theme, then hit on the Customize button and make necessary changes. After making the changes, if your site looks good, then hit on the Apply to Blog button and view your site. That's it. Is it Necessary to Adapt the New Themes? No, not at all. If you think that your current template is nicely designed, then you need to bring any change. But if you're now using any old blogger theme without modification, then I will suggest you to try out the new ones. They are really gorgeous. Depending on your contents you will guess which theme looks better. You can also take suggestions from your visitors. Some of these features are easily found in the third party templates. But the difference is that, the third party templates are not fully compatible with blogger layout design. But these default themes are blogger's own and that's why you will no problem to work with them. So guys, give a great look to your site . 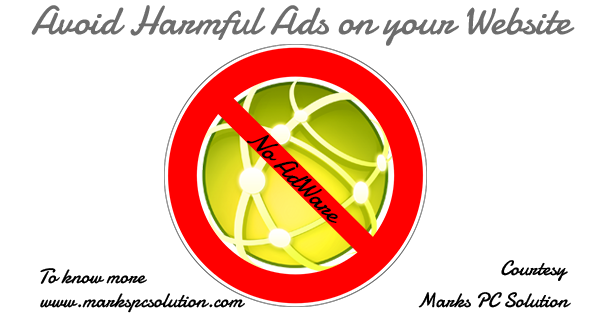 . .
Webmasters Should Avoid Harmful Ads on their Sites . . .
Advertising has been a major business in this time. And online giants like Google and Facebook are making huge profit through online advertising. But there are some culprit advertisers who try to install harmful adware on personal computers. If a user gets trapped and install any of those adware by mistake, I can swear that his computer will be as good as hell. Most users get trapped when they try to download Windows Activators or IDM Cracks. There are different websites and blogs which offer crack software. And adware advertisers target those websites for selling their harmful ads. Inexperienced computer users are not aware of those adware and they download and install this poison on their machine. And when they do so, their computers become the world of irritating ads. They may see ads everywhere in the browser when surfing the web. These ads could be of different types like banners, fly out ads, or the texts of a website might be highlighted. To be honest, few months back I used to sell those adware through my site Marks PC Solution. And I was sharing those adware for last few years. And I'm really sorry for that. I apologize to those users who have suffered by installing adware from my site. In that time I didn't know how dangerous those ads are. Few months ago, I've downloaded one of those ads from my site and installed it on my PC. You might be surprised to know that I tried a lot but couldn't find a way to delete that stupid software. It was really difficult for me to browse websites with that adwares. When I browse any website, my browser used to display some unwanted ads that doesn't belong to the website I'm surfing! These ads also slow down your browsing speed and consume data. Then I had to reinstall my Windows to get rid of this trouble. If you are a blogger or site owner then I would like to request you not to make any deal with those type of advertisers who share harmful adware through download buttons. Because these adwares trouble a lot. If a visitor downloads such things from your site and gets into trouble, then certainly he will curse you. And he will never visit your site. And ultimately your site will loose the ranking. Because Google gives priority to those sites who have more returning visitors. Even your sight might be blacklisted by safe browsing authority. We display ads for earning revenue. But money is not everything. You can't harm your visitors for money. So, you must be careful and make sure that the users of your site is absolutely safe! Even if you are not an AdSense publisher, you should avoid adwares on your site. If your site is neat and clean then you will get the benefits in the long run . 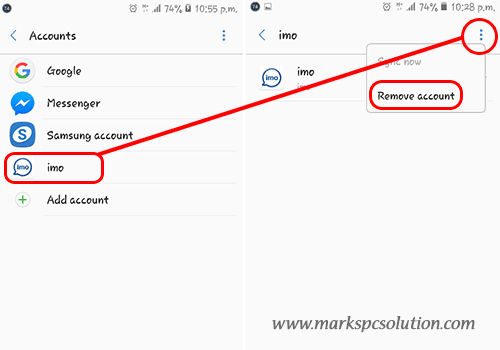 . .
How to Remove Google Account from Android Device? 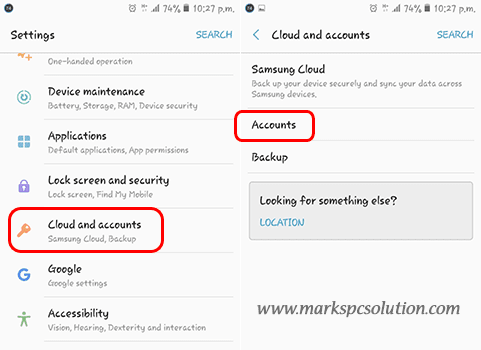 You may find it really difficult to remove your Google Account from an android device. Suppose you've purchased a new phone and gonna handover the old one to someone else. In that case you must remove your Google Account (Or other accounts) from that device. Let's see how to do it . . . 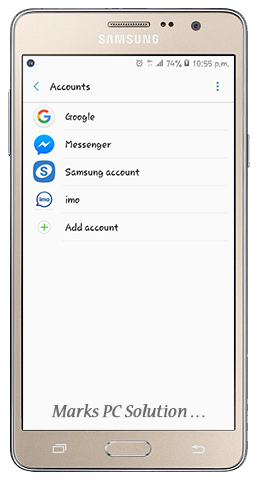 This tutorial is prepared based on the settings of Samsung Galaxy J2 Prime. So when you try to follow this post, you may not get the options exactly as written here. Again you may find another Accounts option. Or you may be taken directly to your Accounts list. Here you will see your accounts that are already signed in to this device. Choose an account that you wanna remove. Now tap on the Settings button ( ⋮ ) and choose Remove Account. That's it. Here you will see a list i.e. Google, imo, Messenger, Firefox Account etc. Choose an account type that you need to add. Now it will ask for your details i.e. username, password etc. And then add the account completing the normal procedure . . .